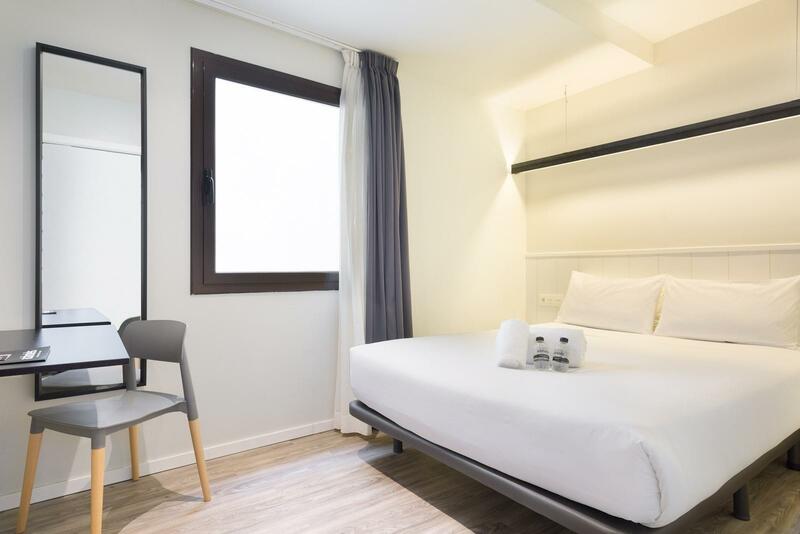 ﻿ Acta BCN 40 Hotel Barcelona. JIMAT di Agoda.com! 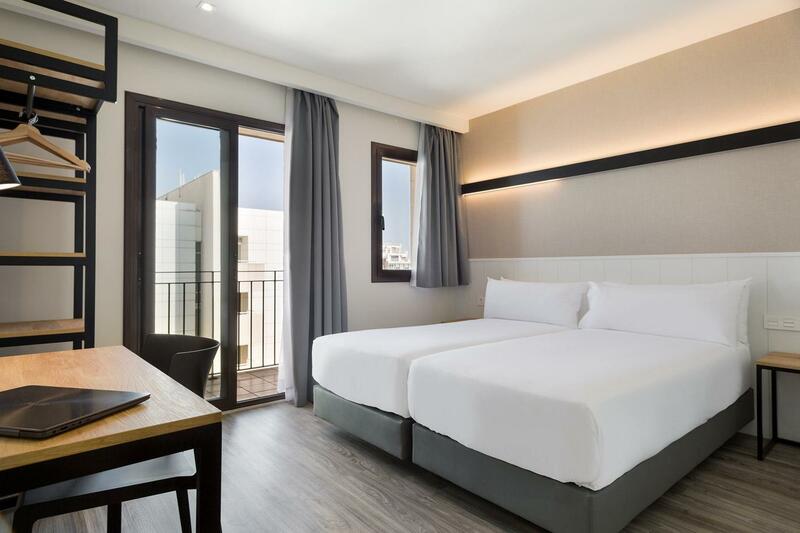 Ada soalan mengenai Acta BCN 40 Hotel? Terletak pada kedudukan yang baik di kawasan restoran, beli-belah, siar-siar di bandar Barcelona, Acta BCN 40 Hotel menyediakan tempat yang paling sesuai untuk anda berehat seketika dari kesibukan hari anda. Hotel ini terletak 0.3 km dari pusat bandar dan menyediakan akses kepada kemudahan bandar yang penting. Bagi anda yang ingin pergi agak jauh, Flamingos Vintage Kilo, Centre d'Estudis I Documentacio Del Macba, Mailuna merupakan beberapa daya tarikan untuk pelawat. Perkhidmatan hotel kelas pertama dan kemudahan yang menentukan pengalaman Acta Hotels menanti anda di Acta BCN 40 Hotel. Hotel ini menawarkan pelbagai kemudahan di lokasi untuk memuaskan hati tetamu termasuk yang arif. Alami bilik dengan kemudahan berkualiti tinggi sepanjang anda menginap di sini. Sebahagian bilik menyediakan televisyen skrin rata, cermin, tuala, almari, ruang tamu asing untuk memudahkan tetamu berehat dan kembali bertenaga. Di samping itu, pihak hotel menawarkan aktiviti rekreasi untuk memastikan anda mempunyai perkara untuk dilakukan sepanjang penginapan anda. 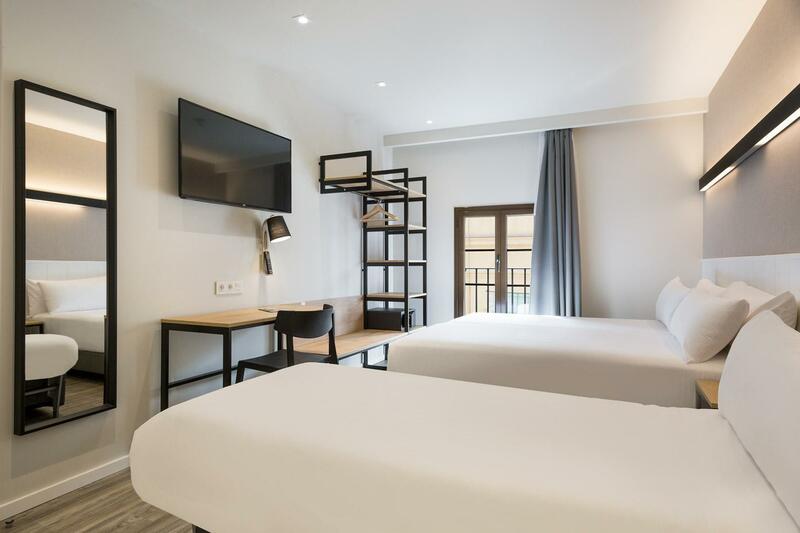 Acta BCN 40 Hotel adalah destinasi sehenti anda bagi penginapan hotel berkualiti di Barcelona. Sarapan untuk pesakit seliak disediakan untuk tetamu atas permintaan. Maksimum 1 kanak-kanak bawah 4 tahun menginap percuma jika menggunakan katil yang ada. Sebarang tambahan kanak-kanak akan dikenakan bayaran tambahan. Umur minimum tetamu untuk menginap adalah 18 tahun jika tidak diiringi oleh orang dewasa. Pihak penginapan berhak ke atas pendaftaran masuk. Semua bilik tidak boleh merokok. I would definitely recommend this hotel to anyone looking for one in the centre of Barcelona. Location is perfect, walking distance to La Ramblas, and metro statuons (Universistat and Catalunya). Room is very clean. Presentable and yummy buffet breakfast which is affordable at €8pp. Receptionist are exceptional, very helpful and friendly. The location is amazing, close to everything and lots of good bars/food around, the hotel is clean and the shower is good! Small room but it's not a problem for us. The man staff were so kind and friendly, but woman staff was so rude. She needs to ask by herself why she is working in hospitality industry. So rude, especially her face expression. 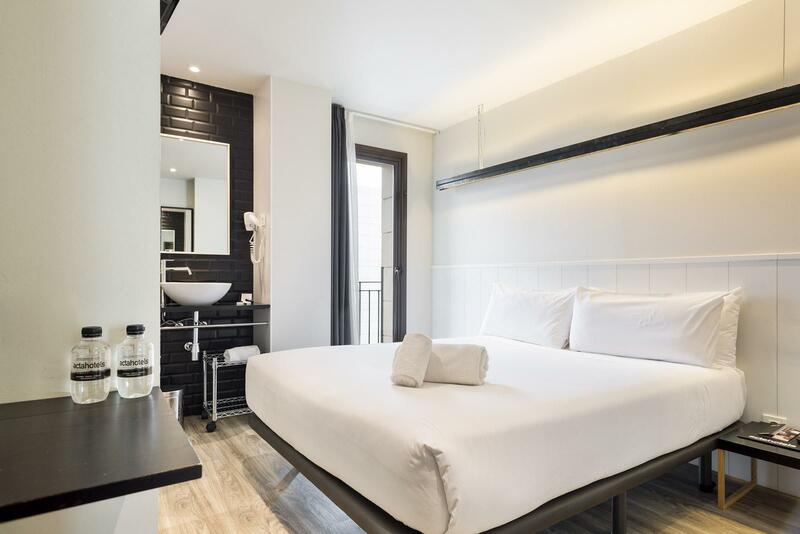 clean hotel, nice rooms and the location is perfect to start to discover barcelona by food, with metro or bus. we enjoyed our stay and will come back if we are in barcelona again. Friendly and helpful staff. Modern styling. Perfect location. Clean rooms. I will return here when I'm Barcelona. 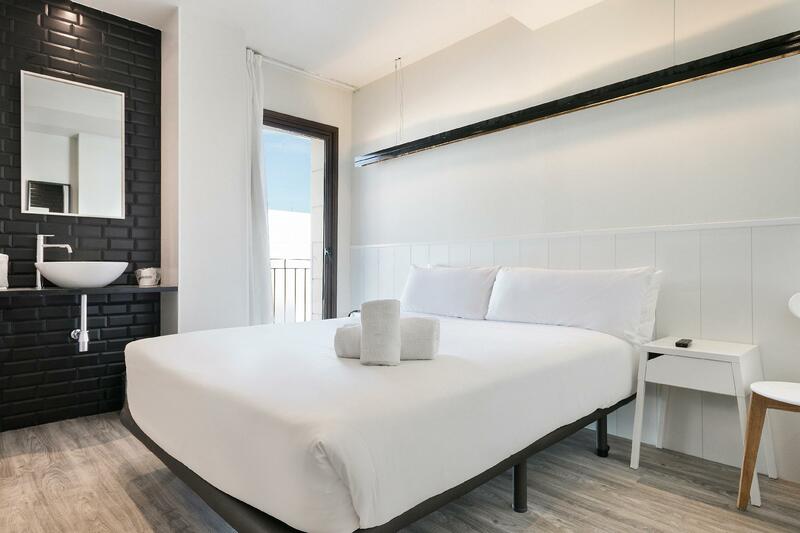 Hotel is small, modern super clean in a great location with friendly helpful staff. Five minute walk to The Ramblas, perfect. Close to metro and you are close to key places, La Rambla, Passeig de Gracia. Friendly staff too. Excellent hotel with friendly and helpful staff. Fantastic location. Close to La Rambla, and dozens of restaurants and bars. Short walk to the Gothic Quarter. As it was in the restaurant / bar district, it was a little loud at night. However we still slept fine. definitely good value for your money. we booked just a standard room but it was a split level room so had a decent amount of space. decor was simple but modern. bathroom was big (especially for europe) and modern. location is said to be in the 'seedy' area of barcelona but to be honest, it's absolutely fine. yes it an area where alot of migrants reside but so what? that doesn't make them criminals. we actually thought it was a great location as it was walking distance to las ramblas, barrio gotic, la mercat de boqueria etc. one warning: make sure you secure a room at the back of the hotel. our room was at the front of the hotel, and yes you get a little balcony, but at night the pedestrian street that the hotel is located on is so extremely noisy. it seriously sounded like the people were in our room!! however, if you can get a room at the back of the hotel we think that this hotel is extremely good value for the price that you pay. The hotel is in a small lane, walking distance to Hard Rock Cafe. Not recommendable for girls as it is quite dodgy at night. Bra! Mkt hjälpsam personal. Mini,rummen var väldigt, väldigt små men mycket fräscha med städning varje dag. Personalen var mkt trevlig, gav oss en stadskarta och skrev ut saker åt oss. Frukosten åt vi en dag, vi tyckte det var mer värt att sätta oss på ett närliggande kafé och äta en billig baguette eller croissant!